(f) It is bulk priced at 1/5th the price of regular editions and 1/2 the cost of other pocket editions. (h) It matches our prayer book, for a handsome gift set. 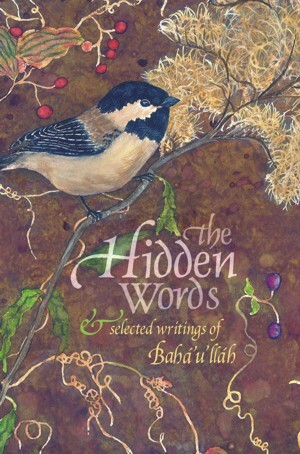 Only 75¢ each in quantities – don’t let the small size and low price fool you, this is the ENTIRE book, The Hidden Words of Baha’u’llah, PLUS additional introductory materials. The essence of all revealed truth lies ready for your exploration in the Hidden Words of Baha’u’llah. What better way to follow the Universal House of Justice’s call to teach using the Creative Word than to give away a book that unveils the beauty of the Faith in a language reminiscent of the Psalms and the Beatitudes? Why they were developed: In my personal teaching, I have given away dozens of copies of the Hidden Words, but it seemed as though the editions available were designed for Baha’is personal use. There was no welcome, no explanation of who Baha’u’llah was or why the book was important. Not only is this edition low-cost, but it is attractive, doubles as a gift card, and includes just enough additional information to get a seeker started in his or her search. What they look like: This ‘seeker edition’ is pocket sized – 4×6 inches.. It has a beautiful full-color cover with a durable clear coating, and is 64 pages long. The inside ink is dark green, and the binding is stapled. 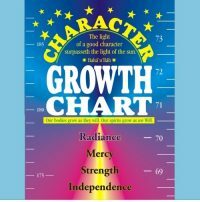 It includes a simple welcome, the entire text of The Hidden Words, plus two pages of prayers, seven pages of quotations, a page about Baha’u’llah, and a list of principles. How to use them: They have inspired some very creative teaching ideas. One friend suggested that they be used as Naw Ruz and Ayyam’i’Ha cards. Think of all the people you know who like daily meditations and send them one. Keep one in your purse, pocket or glove compartment for those unexpected teaching opportunities. Another friend wants to put them in hotel rooms beside the Gideon’s Bible. 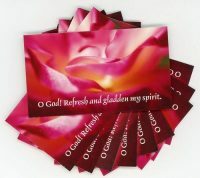 Distribute them to world religion classes, or use them as party favors or thank-you gifts at Baha’i events. This edition is 4×6 with side-stapled binding and a full color cover that matches our Gift of Prayers. The margins are bigger for easier reading and a more polished look. These make thoughtful gift cards, so we also sell matching envelopes to make them easier to mail. Click here to see them. NOTE: I can fit about 160 mini-books in a large flat-rate box for low-cost international or domestic shipping. Cover art by Leslie Williamson.